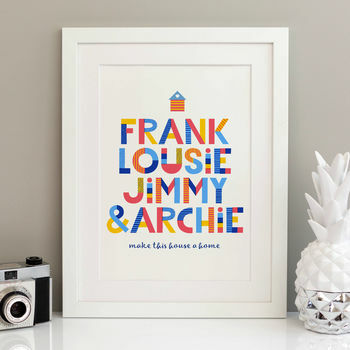 Our funky, typographic family print looks great on any wall! 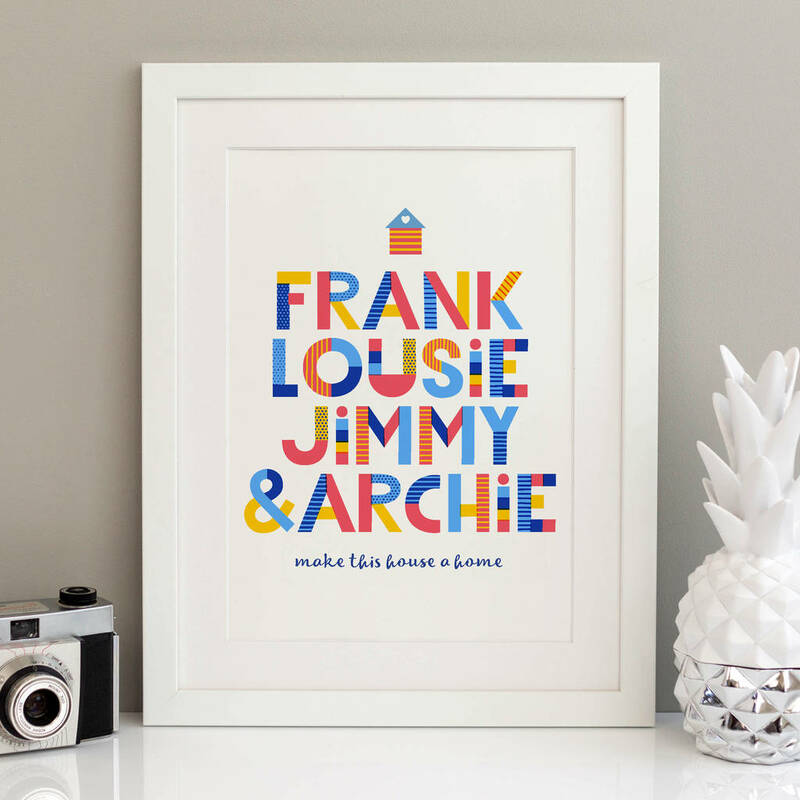 A creative print that adds colour to any home! A perfect Fathers Day Gift. 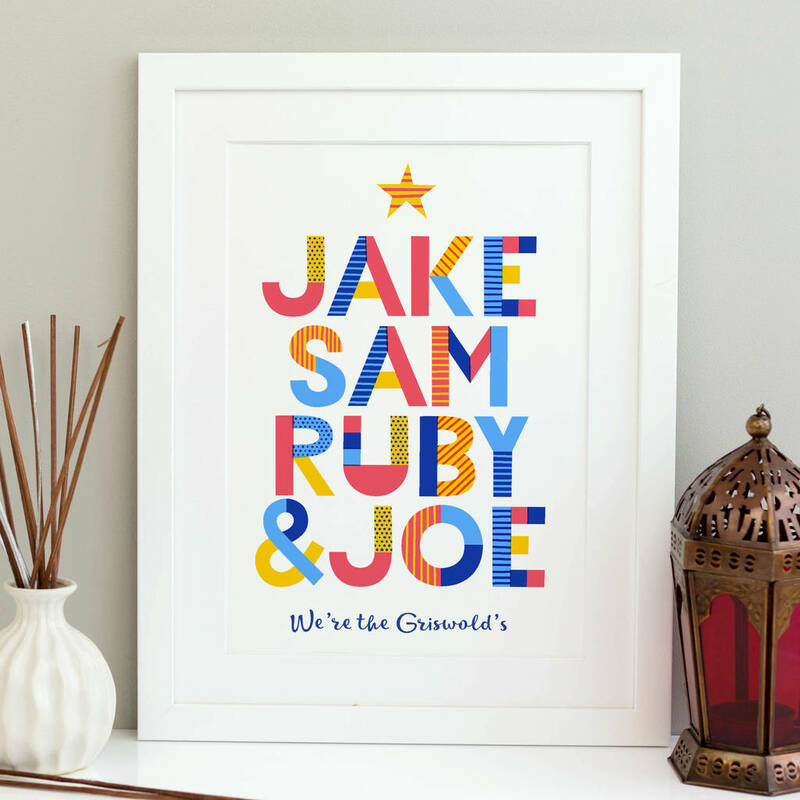 This typographic print uses a fun font and can be personalized with a motivational message underneath your names. This funky, stylish new print will jazz up all homes! 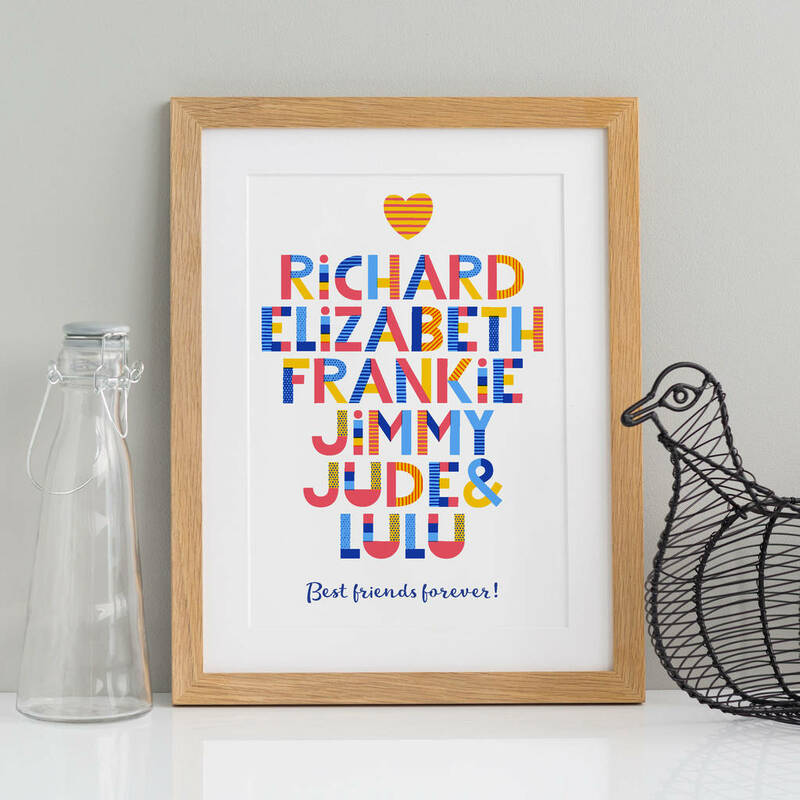 Under your family names you can add whatever text you like - it could be a favorite quote or lyric and you can choose from a wide range of colours for the print to suit any decor. This print is completely bespoke - you can personalise this print with any text that you want on there and our designers will artwork your print to look amazing. The bespoke nature of this print means that it makes a great Fathers Day Gift, Christmas gift, birthday gift or gift for Dad something for any occasion. It can also be personalised as a motivational print by choosing some motivational text to go on the artwork. The print is inspired by bold scandinavian design trends and will look great on any wall. 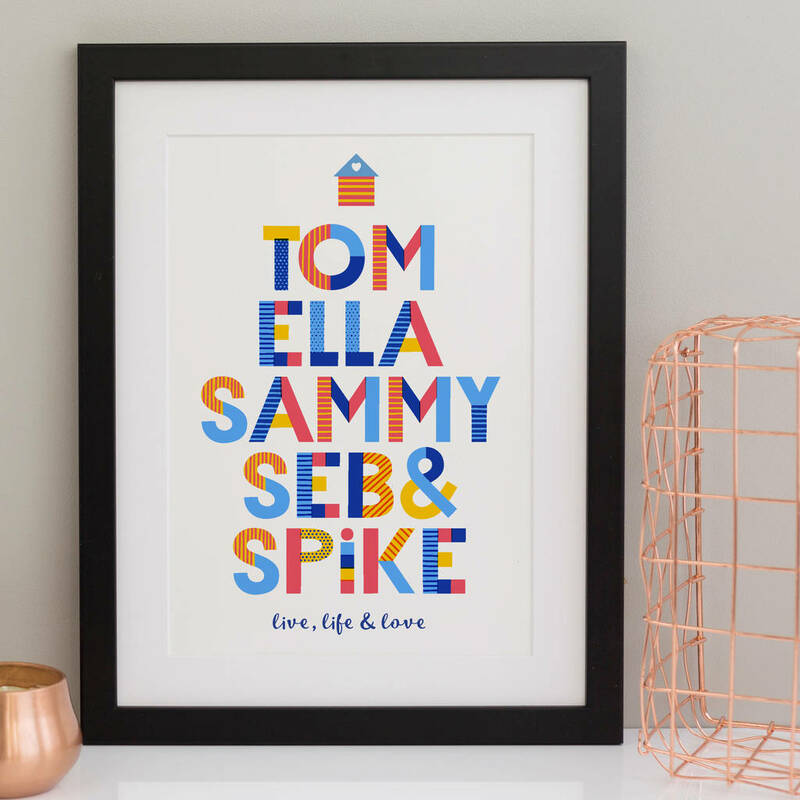 You can use your choice of words for the print to make it work for any room - so it makes a perfect personalised kitchen print, personalise bedroom print or even a personalised wedding gift print depending on how you choose to personalise it. 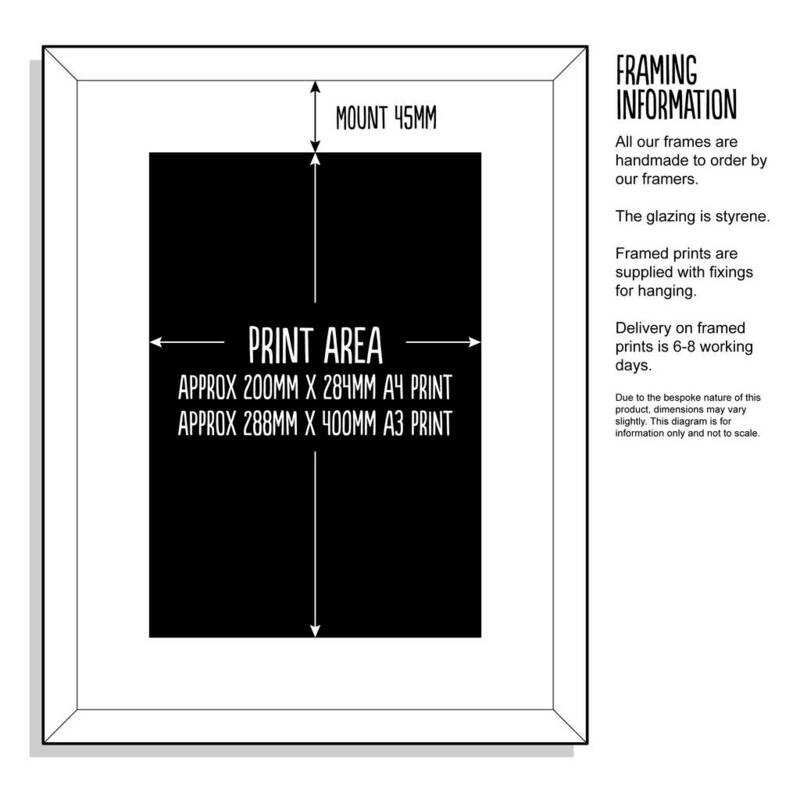 Unframed prints are printed on 300gsm board that has been sourced from well managed sustainable forests. 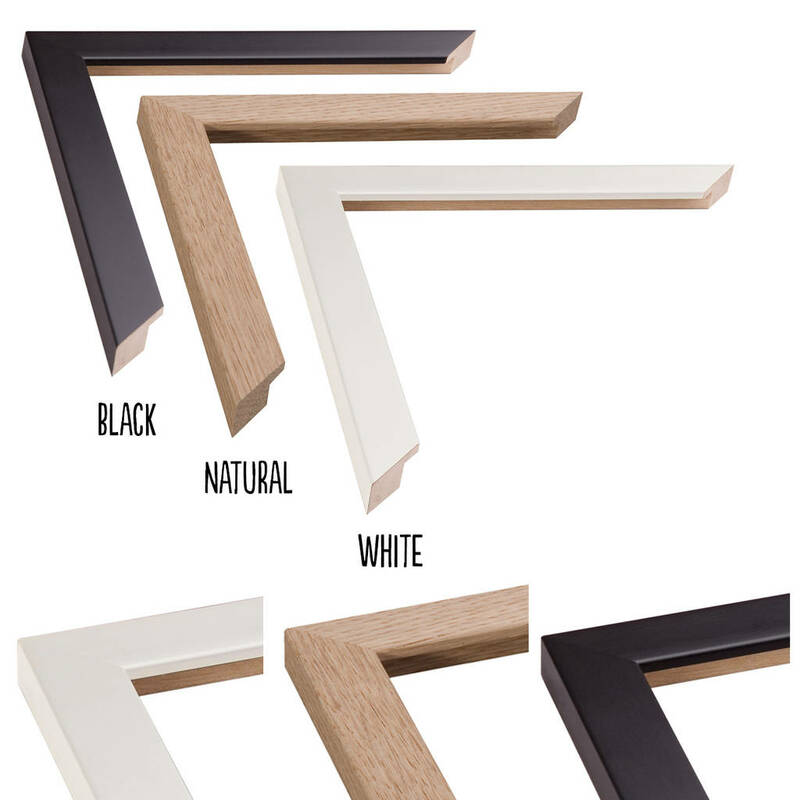 It is also pH neutral and acid-free and has long life qualities and will not degrade for over 70 years!